Gestational diabetes is diabetes that develops during pregnancy. While gestational diabetes does not mean that a woman is stuck with diabetes for life, it does pose quite a few risks to both her and her baby. Fetal risks include everything from large fetal size to birth defects and even miscarriage in the earlier stages of pregnancy. In other words, gestational diabetes is best avoided. What can you do to prevent developing diabetes during your pregnancy? Gestational Diabetes what causes that? A pregnant woman's blood glucose levels are usually higher than normal. This is, of course, a change for which the usual suspects also known as pregnancy hormones are responsible. The pancreas usually reacts to the changes that happen during pregnancy by creating more insulin. When this does not happen, blood sugar levels will keep on increasing and the expectant mom will develop gestational diabetes. 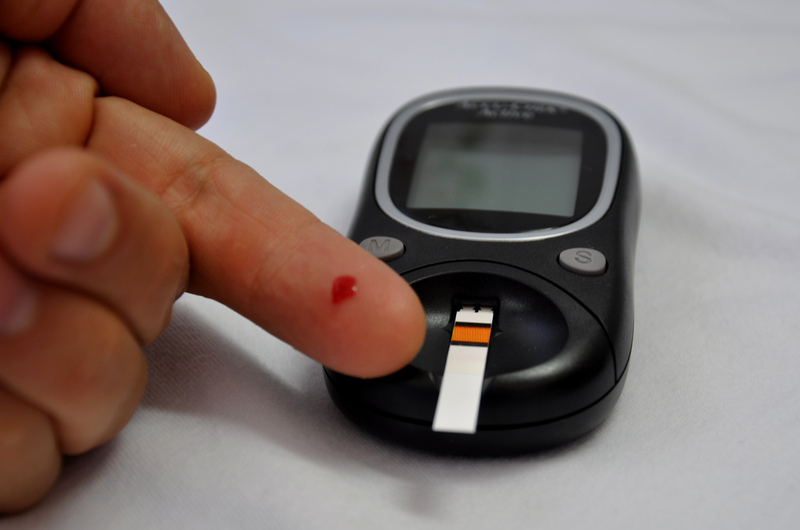 While traditional glucose tests are not the most effective at detecting gestational diabetes, screening for this condition is of great importance. Measuring blood sugar levels over a period of days while eating normally is probably the most effective way to get the whole picture. You can talk to your prenatal care provider about this. Gestational diabetes can result in a miscarriage during the early stages of pregnancy, can lead to birth defects involving major organs, and can make a fetus grow unusually large because of fetal over-nutrition. The latter is the most common and also most well-known "side effect" of diabetes during pregnancy, and this may cause the need for a cesarean section. There isn't a certain "checklist" you can follow in order to avoid gestational diabetes, but there are some steps you can undertake in order to reduce your risk. Prevention begins before you start trying to conceive, if you are overweight. As you saw in the previous section, being overweight or obese is one risk factor for gestational diabetes that you may be able to do something about. Going into a pregnancy at a healthy weight also helps prevent many other pregnancy complications. As expected, healthy eating plays a huge role. Natural sugars are fine, and you should not stop eating fruit to prevent diabetes. Eat plenty of fresh veggies as well, whole grains, and foods containing lots of fiber. Eating smaller meals more frequently keeps your blood sugar levels steady, and can also therefore reduce morning sickness. Cutting trans fats out of your diet as much as you can is great for your health, whether you are actively trying to prevent diabetes or not. Refined sugars are another evil, but you do need healthy fats, protein, and carbohydrates. Women who have particular risk factors for gestational diabetes should consider seeing a nutritionist to develop a dietary plan. The same goes for those mothers to-be who have already been diagnosed with gestational diabetes. READ Prenatal Yoga - Is Yoga in Pregnancy Safe?